UPDATE: It looks like these codes are now expired, but when more become available again we will be sure to post them. Possibly get 612 FREE Huggies Enjoy The Ride Rewards Points. Please Note: Some codes are not all working for everybody, I was able to get a few codes to work, but some are reporting that they were able to get all the points to work. To get 6 FREE Huggies Enjoy The Ride Rewards Points enter code BKTXHRBZFXLLPGB for 5 points and enter code BKWWNFSGBMJWPGB for 1 point. 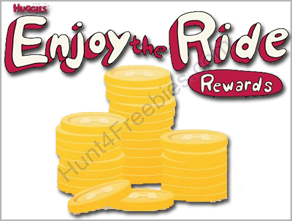 Get 71 FREE Huggies Enjoy The Ride Rewards Points we have had many email requests to start posting the FREE Huggies points, so we will post these as they become available. Here are some FREE points to get you started. Thank you Lena for your help with these codes!